Elaine Froese (CSP), is a lifelong farmer. Every day, she uses her background in conflict resolution and communication to help fellow growers and ranchers face make-or-break issues head on – so they can focus on the business of farming. Starting with 4-H presentations in Manitoba at age nine and moving on to audiences today in Mexico, Australia and beyond, she has always understood that communication is the key to building trust and understanding, especially when your family members are your business partners. Elaine Froese has personally experienced the stresses and frustrations that only families in today’s agriculture climate understand. Froese has seen it all, heard it all, and survived it all — from buying the in-laws’ farm, the isolation of farm life, a sudden illness or death in the family, and every crisis you can imagine. She has given families worldwide the practical tools they need to save their marriages, hold onto their farms and gain some much-needed peace of mind. Elaine Froese hates it when people say “she must be busy.” As a certified coach from the Hudson Institute of Santa Barbara, Elaine has amazing strategies for mapping out a great way to live intentionally and make conscious choices. She removed “all hurriedness from her life” after a serious bout of post-partum depression. Her empathy for mental health is widely appreciated by her audiences as she confronts the true challenge of self care which is not selfish. As a depression survivor, Elaine Froese places a high priority on staying healthy. She knows it is never a quick fix project, but an ongoing process of choosing what is most important to you in the present season of your life. More than 600 families have received her personal coaching advice, along with thousands more who have attended her keynote presentations on emotionally complicated topics -and walked away with life-changing results. 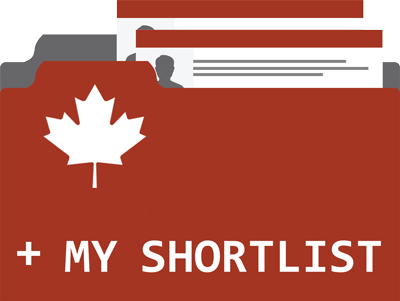 If you want relief from uncomfortable discussions about roles and responsibilities, arguments over ownership and succession agreements, and procrastination on planning for the future, there are several ways to put Elaine Froese’s expertise to work for you. Conflict avoidance is the biggest barrier to the next generation’s succession success. Elaine Froese provides practical conflict resolution tools to help families have courageous conversations for business continuance, and reduced family tensions. Founders typically want to know where their income streams will be after they let go of power and control of management and/or ownership. They also have marital conflict about home residence issues, and how to be fair to non-business heirs. The next generation can’t wait to gain equity, and more decision making power. Young farmers are smart, tech-savvy, and want to have their opinions heard by parents and respected. They also need certainty that timelines for transfer and succession agreements will be honoured. Add the conflict dynamics of a new spouse and you have many interesting conversations ahead! Elaine Froese’s expertise is her practical common sense approach to starting courageous conversations between the generations, and auditing the key challenges. You’ll gain insight into the tools you need to talk about tough succession issues, and then act on them with agreements that work for the different demands of each stage and age of successor or founder. Learn to listen to your head, heart and your “gut”. 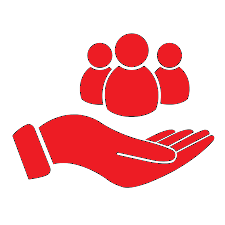 Elaine delivers actionable information farm business owners and managers can implement today. She challenges farm family businesses to get "unstuck" and not accept the high anxiety and stress of poor decision making. Her tools are grounded in years of working with farm succession planning and coaching. Her award winning book Planting the Seed of Hope helps build insight and trust quickly with families seeking tools for dealing with conflict and change. 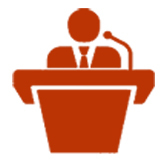 Acting on common sense tools to talk about issues and resolve fights. Learning new language to express your intent and expectations. Meeting regularly with an agenda that morphs into timelines and action! Embracing conflict resolution as a key business risk management strategy. Having fun and stronger relationships by being soft on the person, but hard on the problem. Identifying the "Undiscussabulls™" that you need to take care of, and start your own pack. Planning for Change: The Cycle of Renewal: Farmers Don't Retire... They Re-invent! You love farming and you never plan to really quit. Your spouse has other ideas. You are both in different stages of the cycle of renewal, but don’t know it. Your adult children want you to move to town. What are you going to do? Nothing? That doesn’t feel very good! How about planning for change, letting go and taking on new plans? Discover how in this revealing presentation. Hudson Institute of Santa Barbara’s planning for change map gives insight and direction for moving ahead. Mapping out the cycle of renewal clears up why you are stuck. Know what you need to let go of, take on, move on, and hold on to. Appreciate the other person’s perspective of change and renewal. Acknowledge the steps you need to take to get to the next stage of the planning cycle. Enjoy freedom to get what you want in your new role. Forget about retirement, you’re re-inventing yourself on the farm! Really? Elaine is a certified Hudson Institute of Santa Barbara Coach (www.hudsoninstitute.com). She is highly trained to help people see where they are on the cycle of renewal map in order to plan for change. She’s the farm family coach your clients need to connect with! She has presented this workshop and keynote across the prairies. The key issue is discovering that your perspective and stage of the cycle can be completely opposite to your spouse and business partners. This makes planning for change a challenge, unless you identify what to let go of, “drop the bananas,” and what to take on. Farming dads need to transfer control and ownership (eventually) to younger farmers. If there is no successor, then what? If there is a keen successor… congratulations! What do young farmers want? They want certainty of ownership, and a plan with deadlines. They want the farm intact. What do older founding farmers want? To be useful and appreciated. Fairness. They want an income stream for their lifestyle needs. 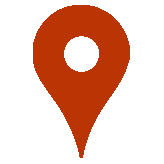 Elaine delivers actionable information farm business owners and managers can implement today. People seek out advisors after she hits home with her message. She challenges farm family businesses to get “unstuck” and not accept the high anxiety and stress of poor decision making. Her tools are grounded in years of working with farm succession planning and coaching. She’s survived two succession plans and can talk about it. Elaine's a farmer and speaks to the heart of farm family issues. Her stories make people feel like she’s literally been at their kitchen table for years! Planning for Change: The Cycle of Renewal - Farmers Don't Retire... They Re-invent! You love farming and you never plan to really quit. Your spouse has other ideas. You are both in different stages of the cycle of renewal, but don’t know it. Your adult children want you to move to town. What are you going to do? Nothing? That doesn’t feel very good! Elaine shows you how to plan for change, let go and take on new plans. The key issue is discovering that your perspective and stage of the cycle can be completely opposite to your spouse and business partners. This makes planning for change a challenge, unless you identify what to let go of, “drop the bananas,” and what to take on. Lack of appreciation is one of the top key reasons farm succession planning fails or is blocked. Families need a strong emotional bank account and huge relational capital, not just net worth. Each generation needs to feel their work counts. In this presentation, you'll discover how to use encouragement as a leadership tool. Learn how to put deposits into the emotional bank account. Decipher your language of affirmation and appreciation. Discover family leadership skills to strengthen your business and your family. Invest in human resources that will increase your resilience to stress: communication, celebration, and connection. Dr. Nikki Gerrard, farm stress specialist discovered that “What doesn’t kill you makes you stronger.” Her resilience research was the foundation of Elaine’s award winning book Planting the Seed of Hope. 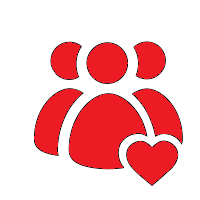 Families need to communicate, celebrate and connect with community. Elaine farms, has employees, and manages role overload, just like her clients. She has been a popular retreat speaker for many years as she is gifted as an encourager. Her common-sense approach and toolbox will help your farm clients see encouragement as a leadership tool. Folks are tired and overloaded. They think self-care is selfish. Too many roles and too little time. Where did the fun go? Elaine is an active farm partner with off-farm demands, just like you. She’s experienced a serious health issue which makes her passionate and practical about being intentional, not “busy” and she shares her story and strategies for living a balanced life. 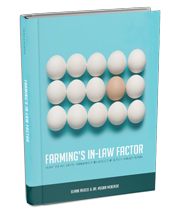 Farming's In-Law Factor... How to have more harmony and less conflict on family farms. Everyone wants harmony on their family farm and this book will show you how to get it. Unresolved in-law tensions can create chaos and split the farm. It time to take the bull by the horns and solve the people conflicts on your farm with this book's practical tools. 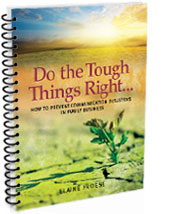 Do the Tough Things Right... How to prevent communication disasters in family business. "Are you having a hard time starting the conversations about who gets the family business, and when?" This book is designed to help you nail down the key challenges you need to talk about. It's a workbook style, so you can write your responses to the tough questions certified coach Elaine Froese asks. 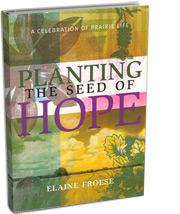 Planting the Seed of Hope Elaine's award winning 186 page book. Planting the Seed of Hope Celebrating Prairie life. The book of encouragement for rural families based on 10 years of writing about communication, connection, and celebration. "Elaine came to our community in Dominion City and talked about how rural communities could be vibrant communities by working together. In her workshop she made us really think about who we were and who we would like to be. It made us realize that what a community becomes is really within itself. 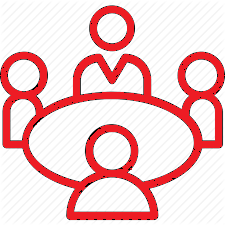 People can get together and talk about their visions for their community and make it happen. It was a really positive experience and she did an excellent job of leading us in that discussion". 'Our experience with Elaine was very beneficial. We did a presentation called "The Death of a Farmer" to talk about certain things you need to address during times of a death or in preparation for it. Our involvement with Elaine was fantastic. She brought a lot more of the emotional side to the issue. A lot of the issues you tend to ignore or put to the side, she brings to the forefront. To address those tough areas was important to our clients... During the seminar, Elaine would be speaking and you'd see the wife elbowing the husband saying 'This is something we've got to do.' They left the seminar inspired and motivated to take action". "We do a lot of business with farmers -- estate planning, disability insurance, etc. -- and Elaine works in the industry and is very knowledgeable. She works with farm families and shows them how to solve their problems. We liked her human approach - she's aware of the stress issues that a lot of farmers have and felt that she was the right person to talk to us. Many of my clients had already used her services and before and were in love with her and I've heard so many good things about her. We were really impressed with what she had to say". "When I heard Elaine was going to be a presenter at our BDO Farm Seminar, I was excited because my family had worked with Elaine before when we were doing estate planning with our farm and I knew she had lots of good advice and that she would give our clients some food for thought and guidance. She likes to let everyone listen and have their say so others can hear what they have to say. She was a real benefit to us on our farm".